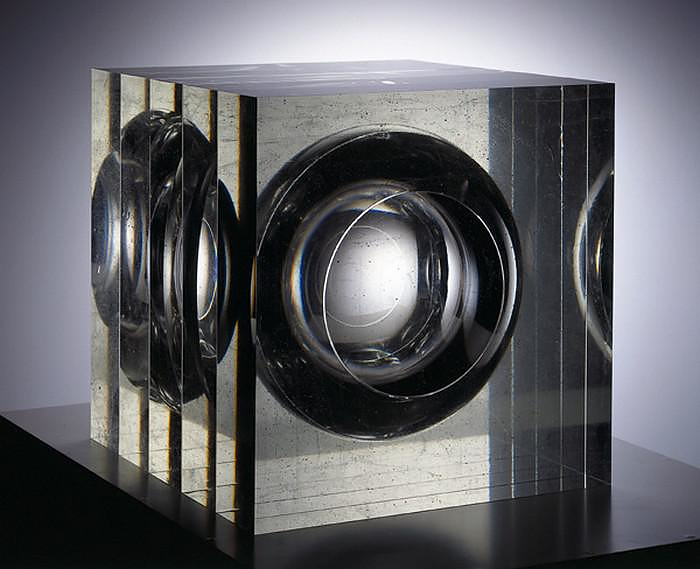 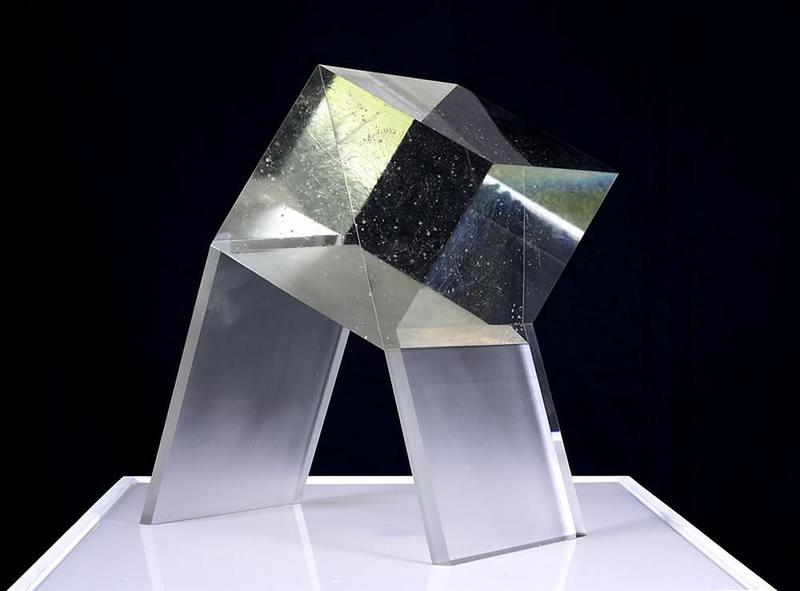 HomeBlogArtGeometric Glass Sculptures by Stanislav Libensky. 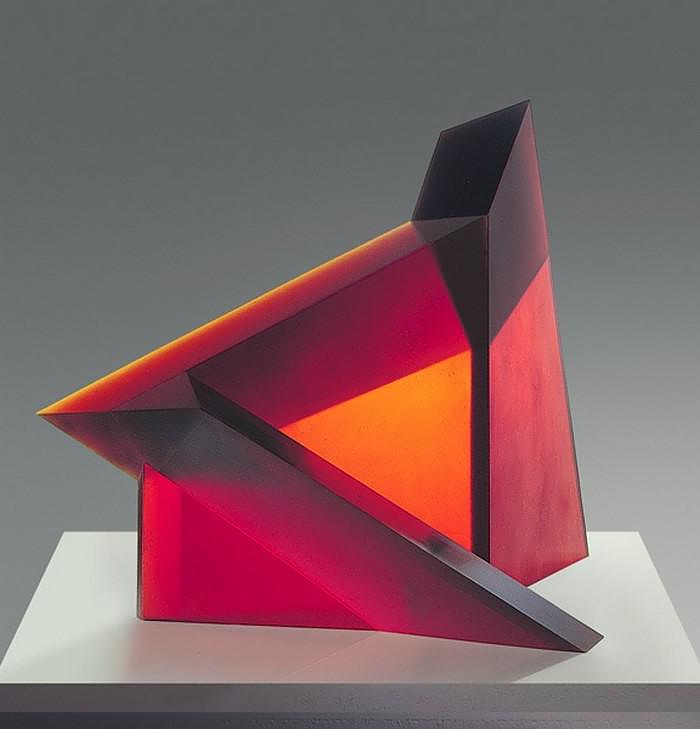 Stanislav Libensky (1921-2002) was one of the most creative and prolific sculptors of his generation. 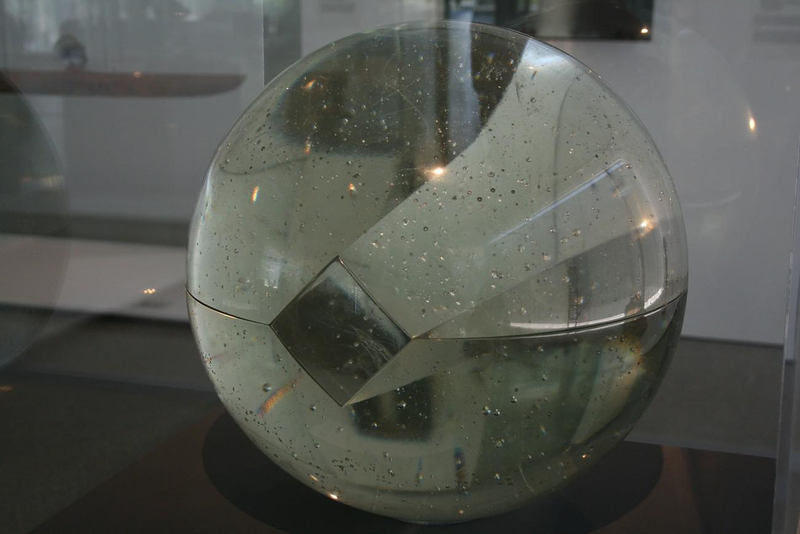 His works are included in many major modern art collections, such as the Metropolitan Museum of Art and the Victoria & Albert Museum, his unique style is indeed a point of reference in glass art. 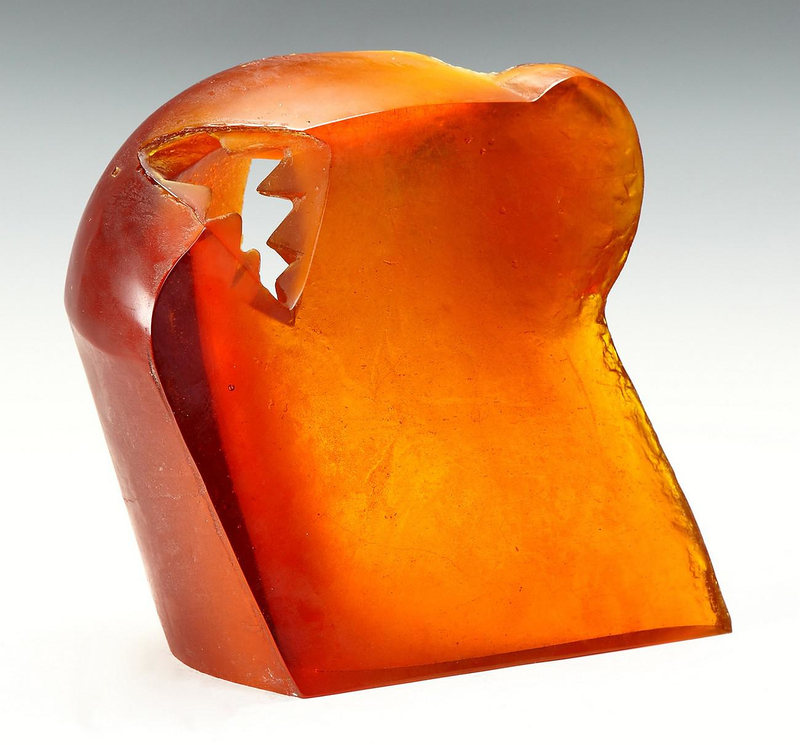 Born in former Czechoslovakia in 1921, Stanislav Libensky began his carrier as a painter but soon he realized that his great passion was meant to be glass. 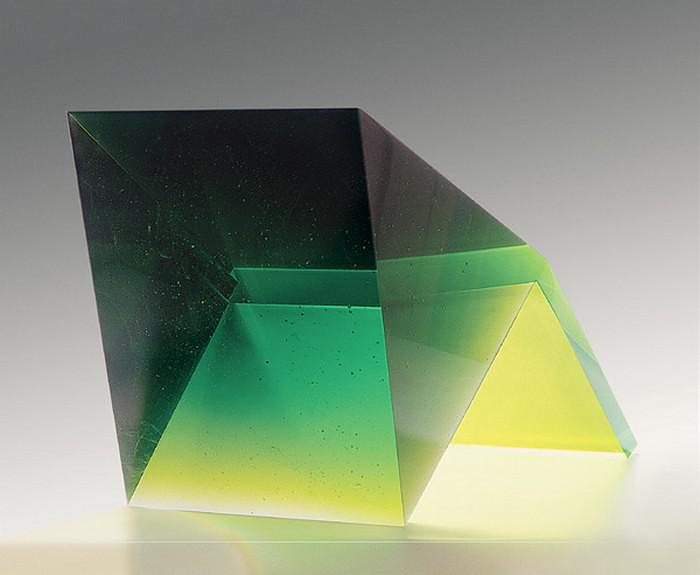 His study of glass began in 1937 at the Specialized School of Glassmaking in Nový Bor, Czechoslovakia, a region encompassing the Czech-German border called the Sudetenland. 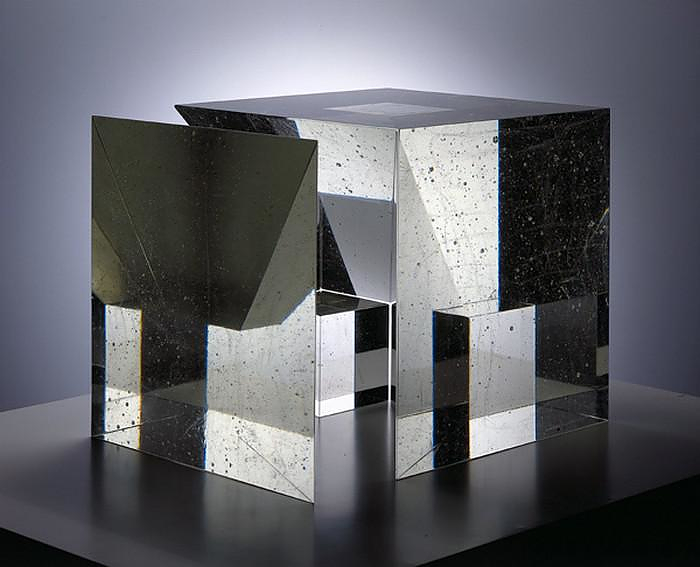 His first notable series in glass, created in Nový Bor between 1945 and 1948, were thin crystal vessels, delicately etched and enameled with themes from the Bible and Renaissance art. 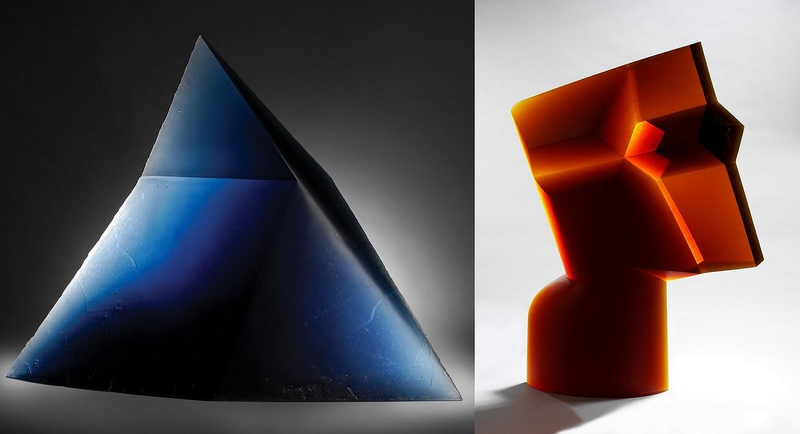 Eventually his defining style came to be the now famous geometric monolithic shapes. 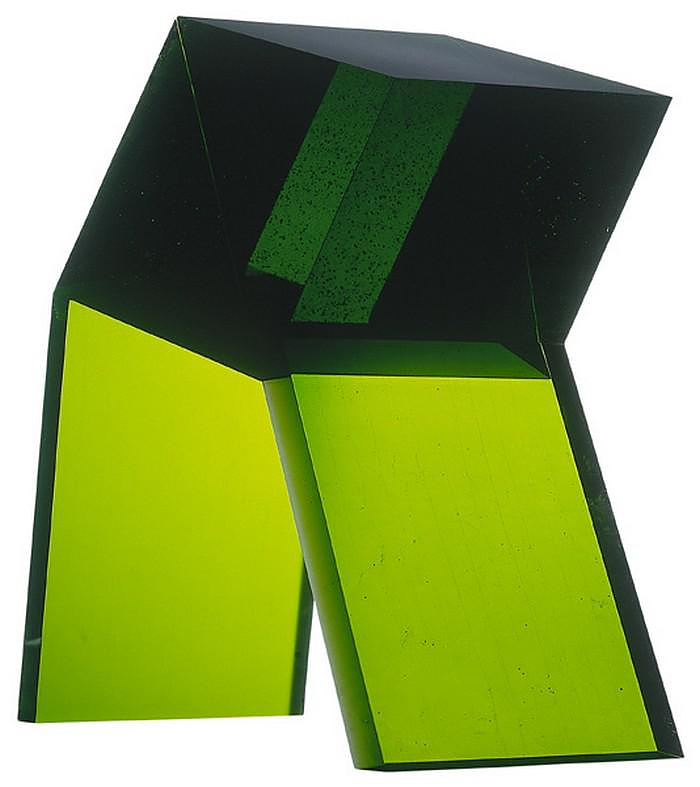 Stanislav Libensky worked together with his wife his wife Jaroslava Brychtova. 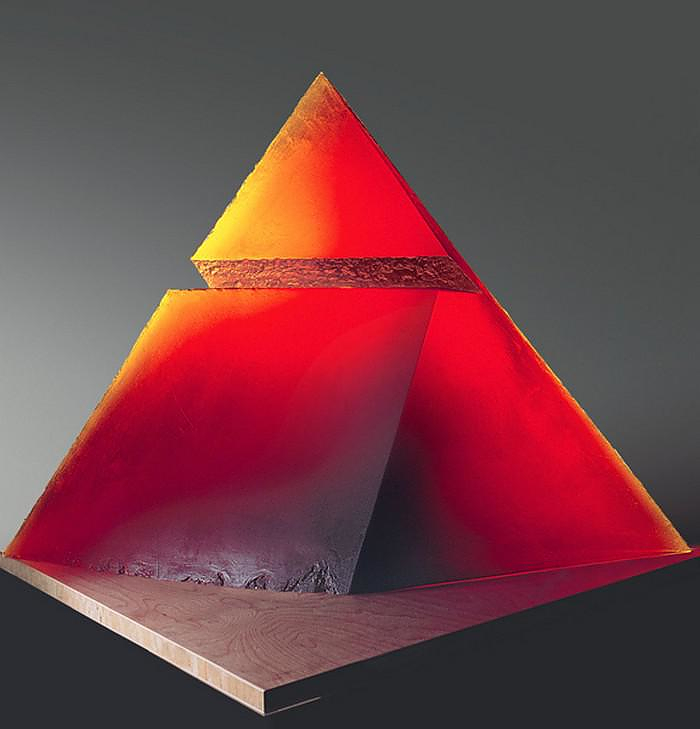 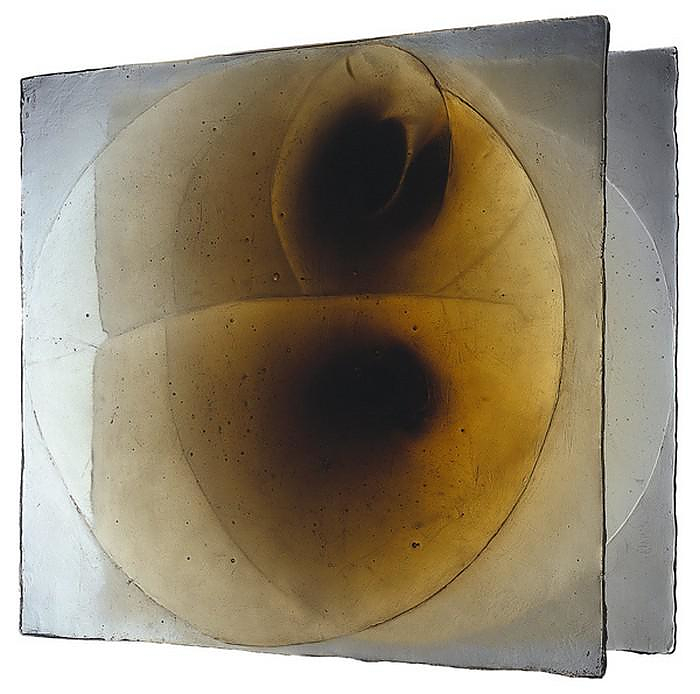 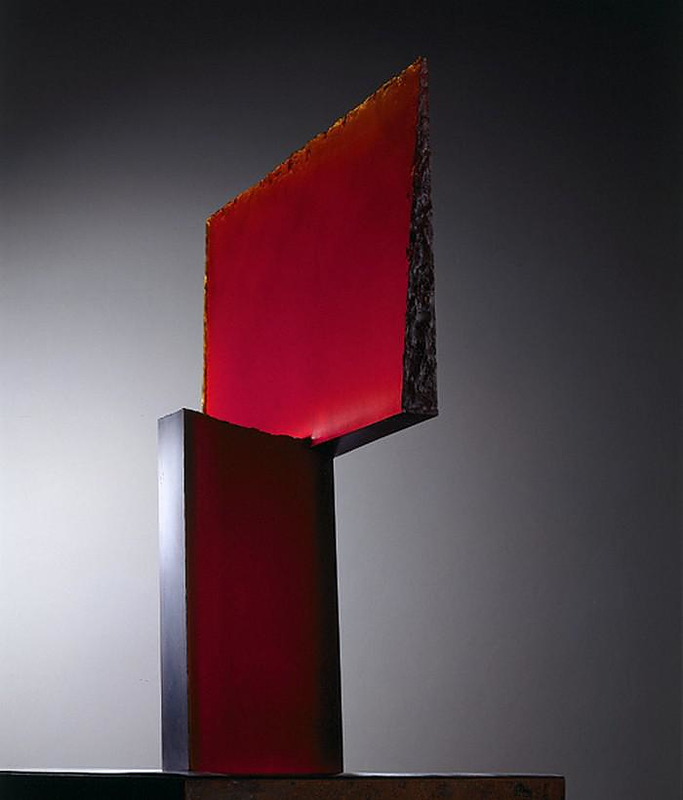 They both are considered to be amongst the most influential figures in modern glass art. 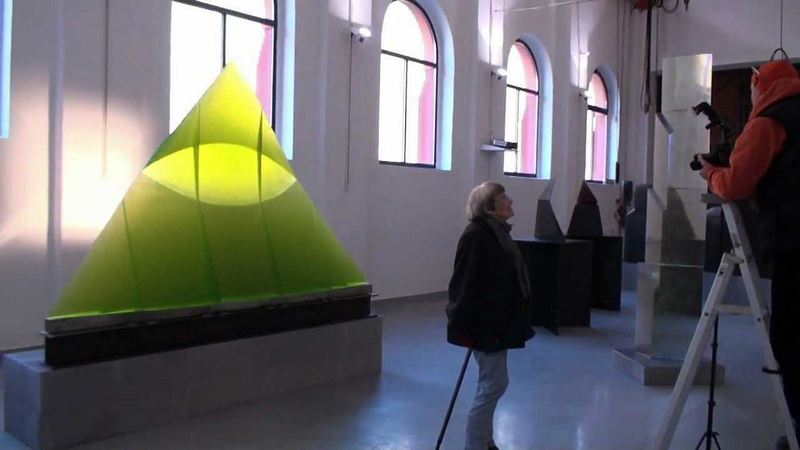 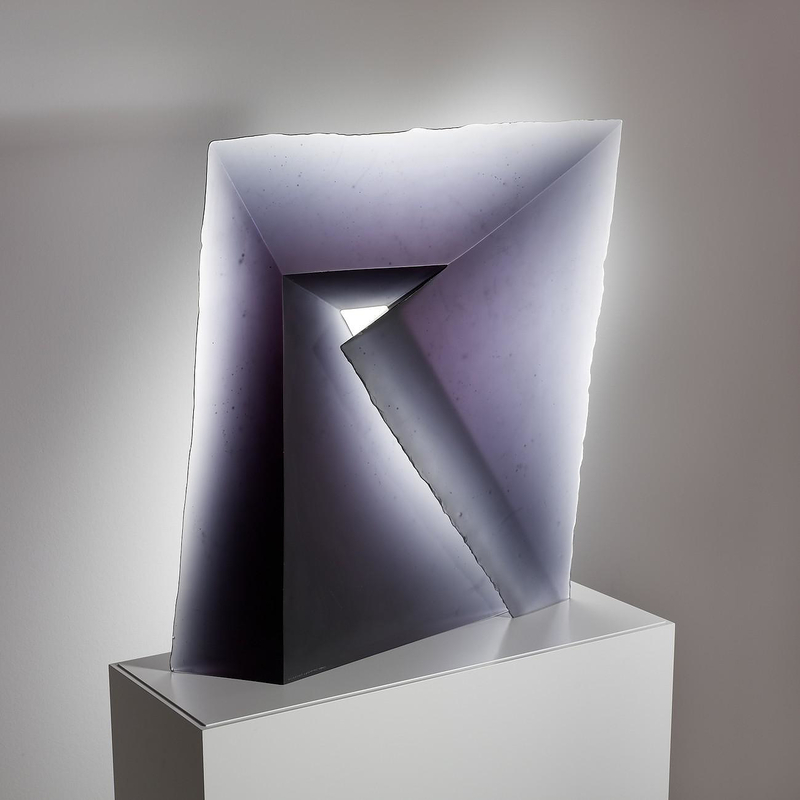 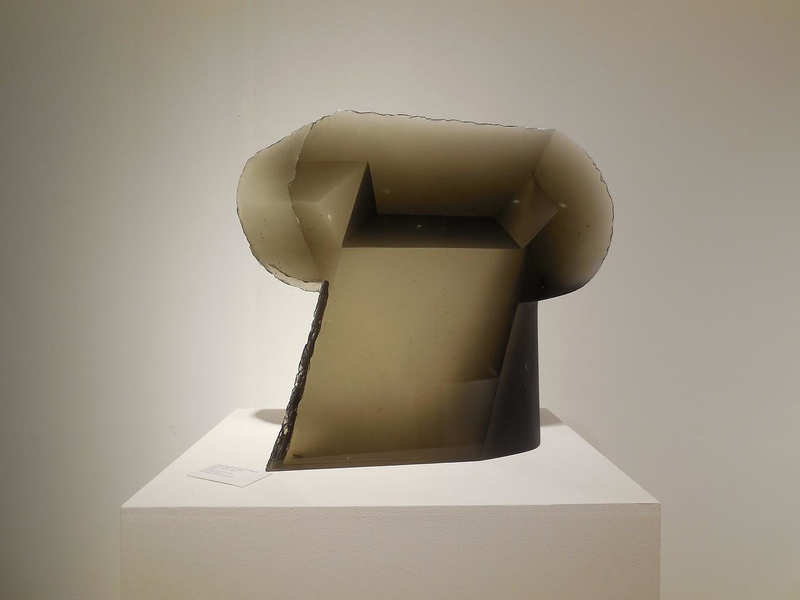 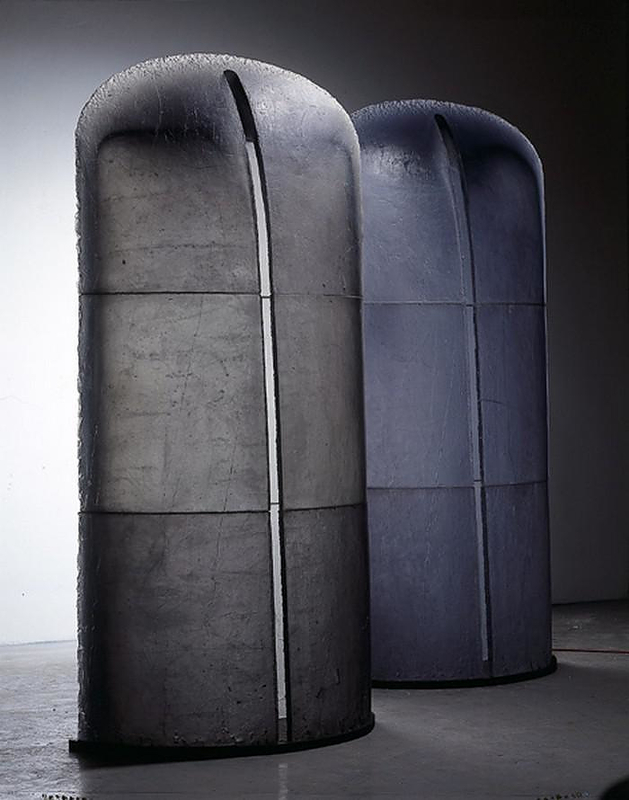 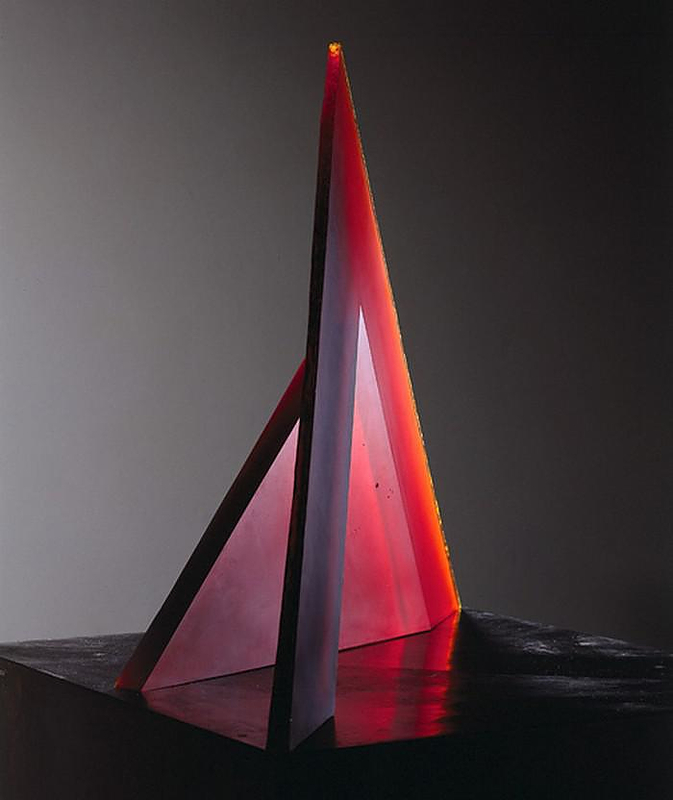 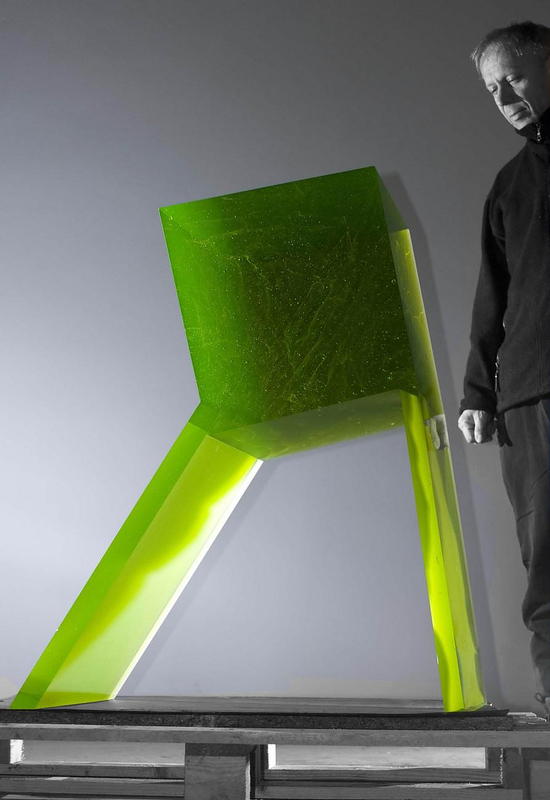 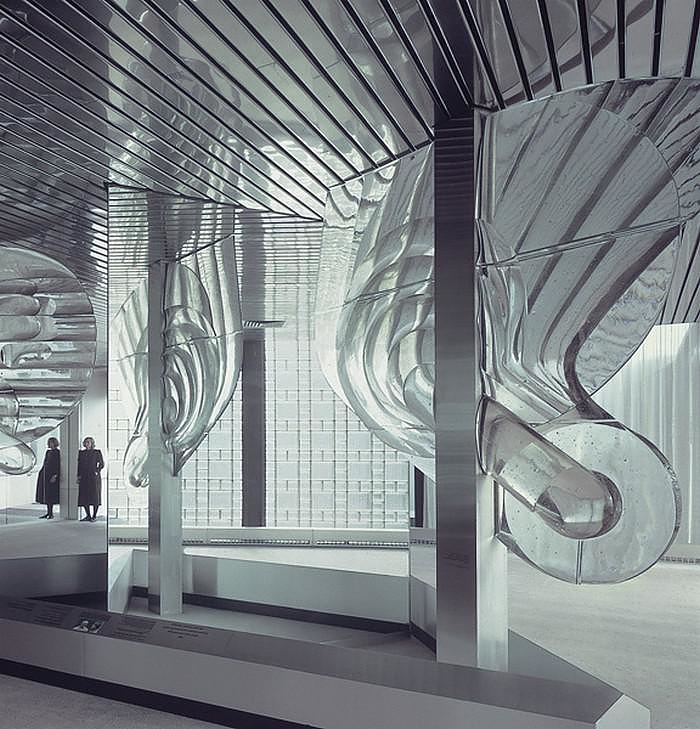 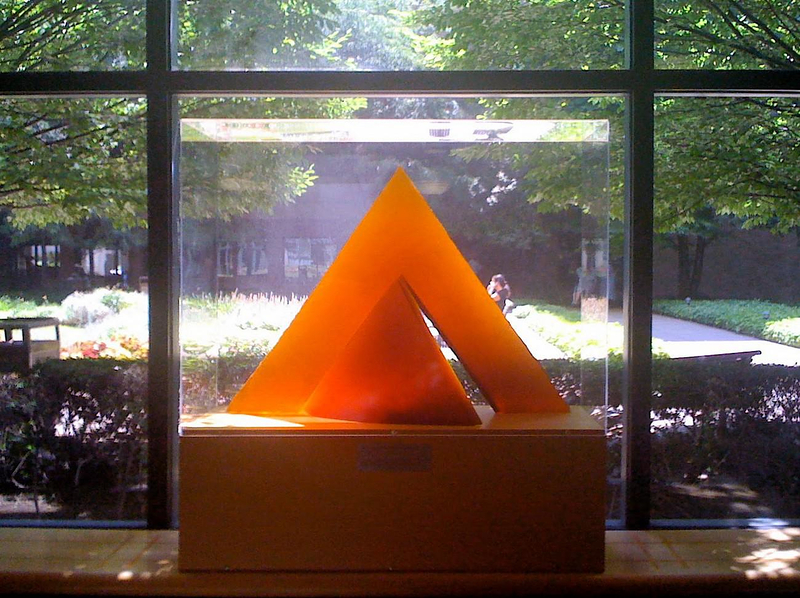 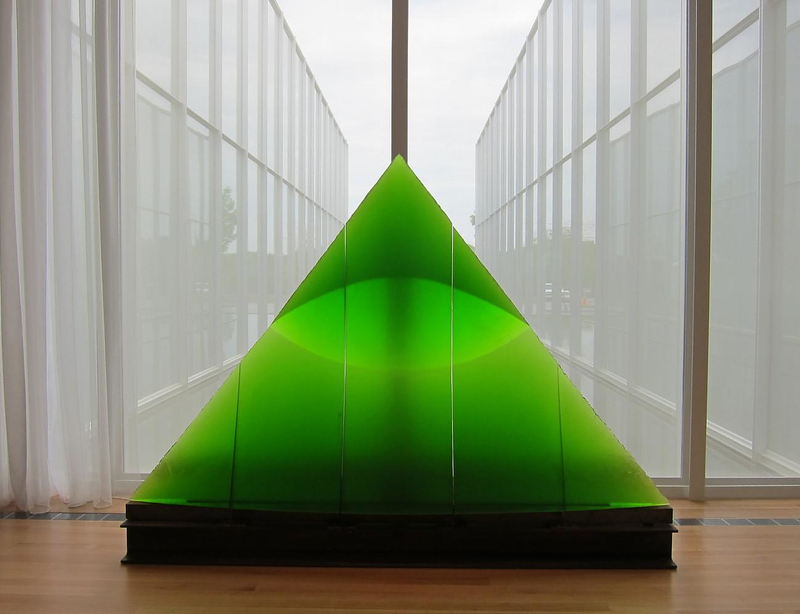 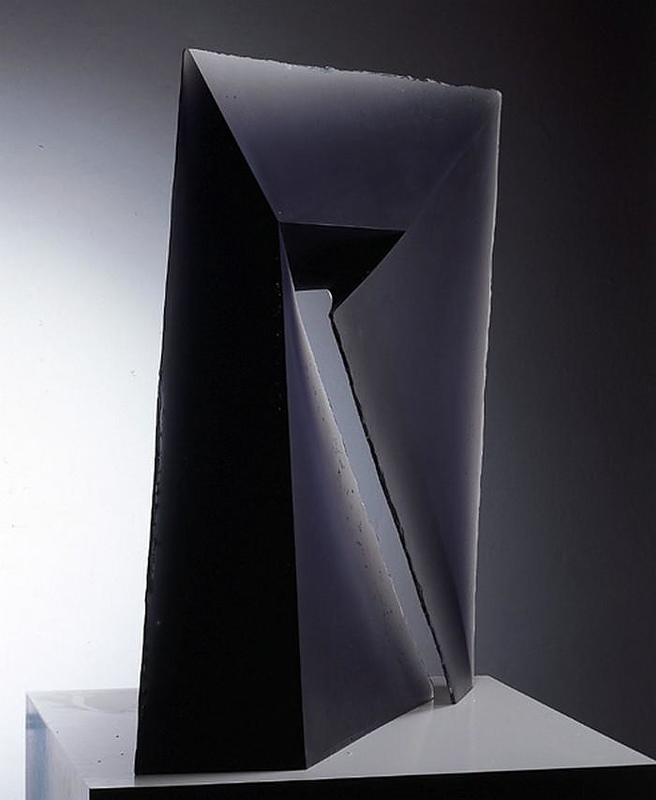 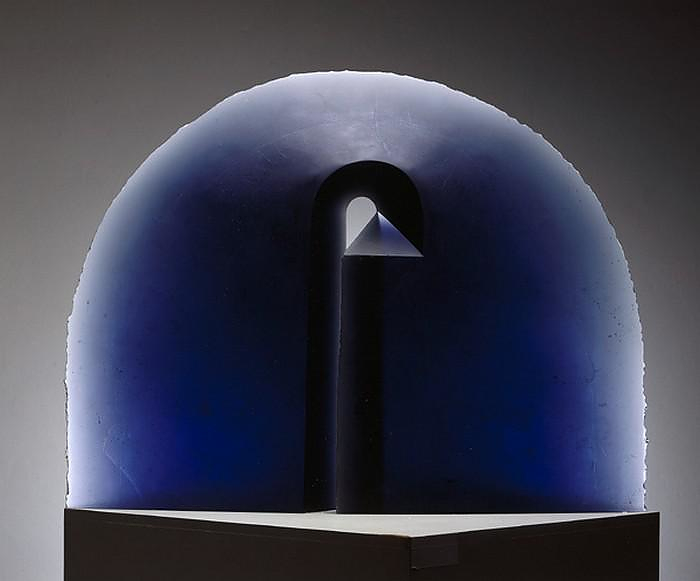 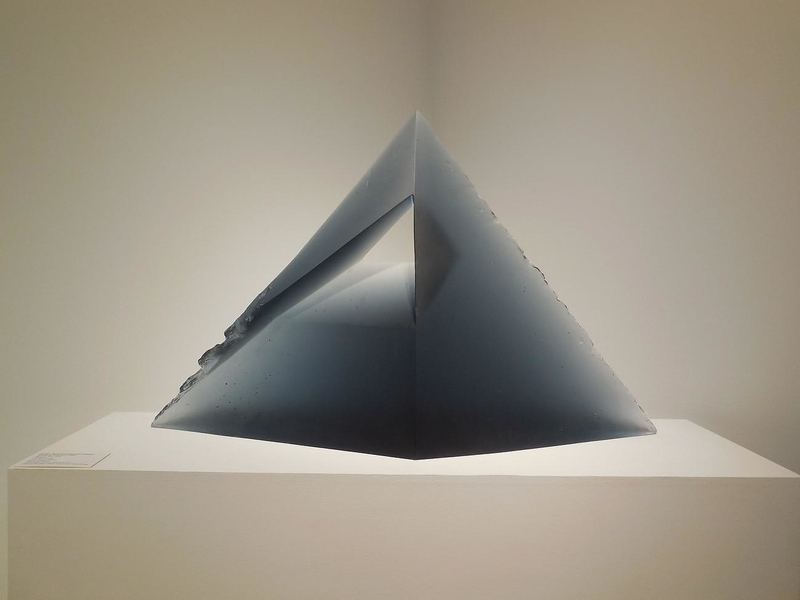 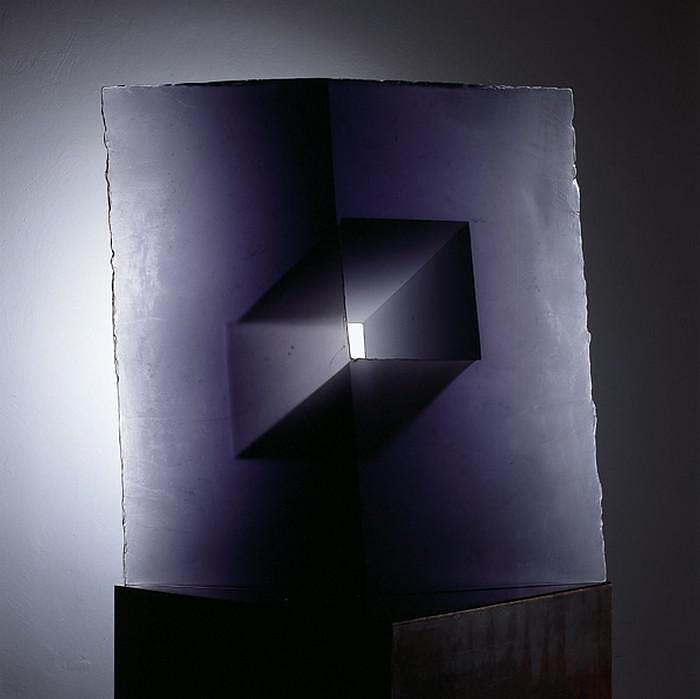 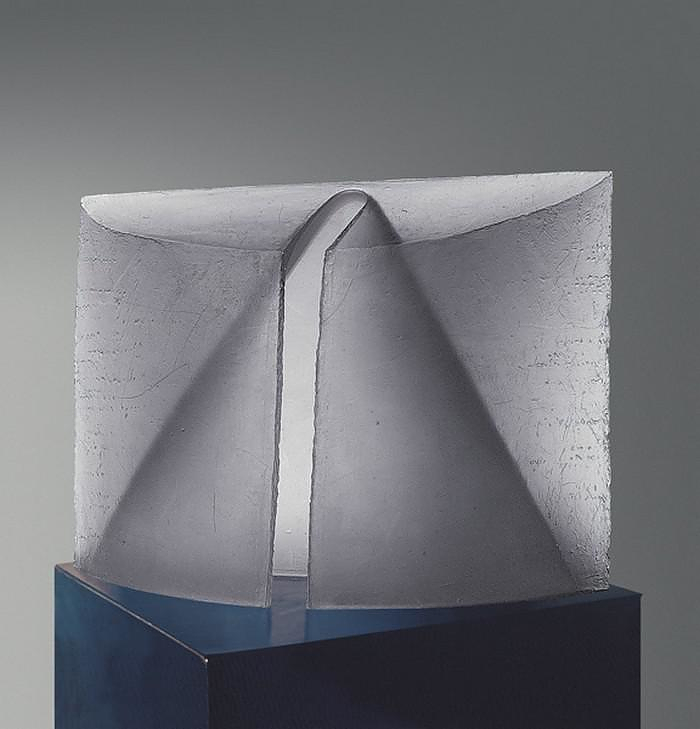 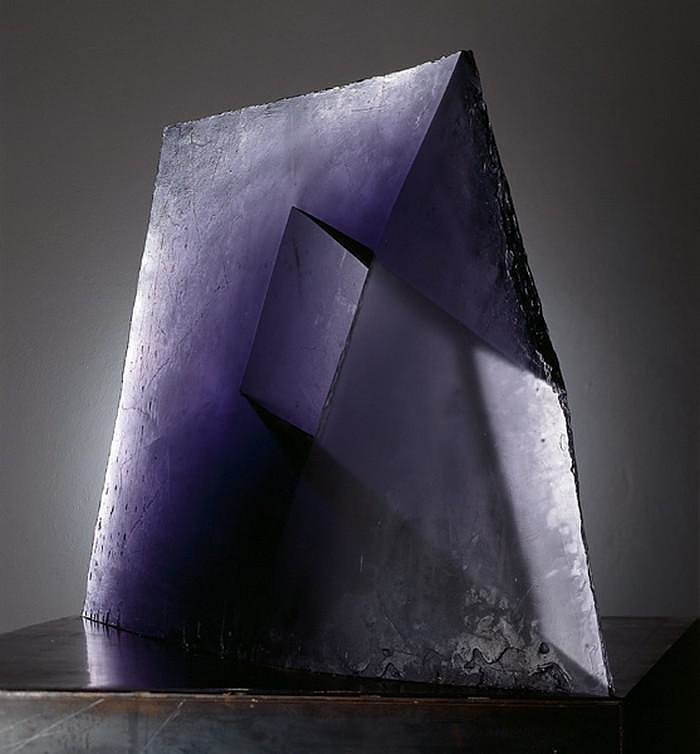 Monumental sculptures with unique concept of the formation of internal space signify a fundamental reassessment of glass as an artistic means and material. 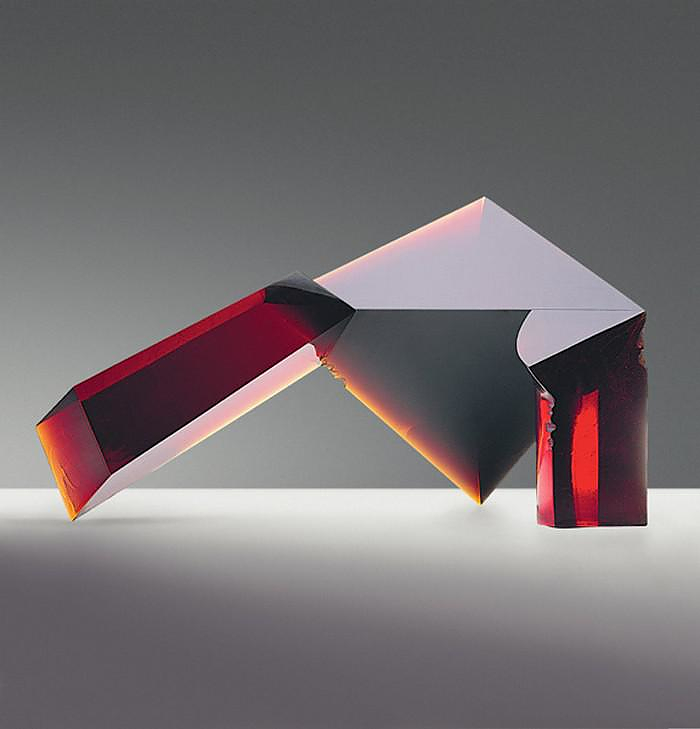 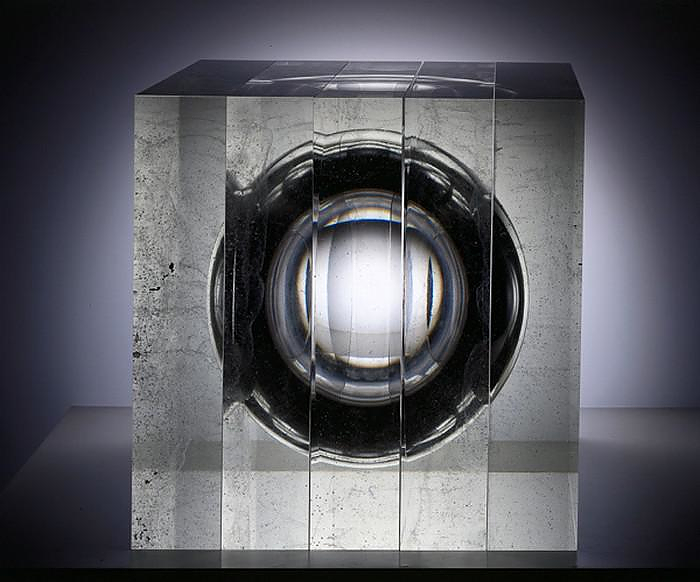 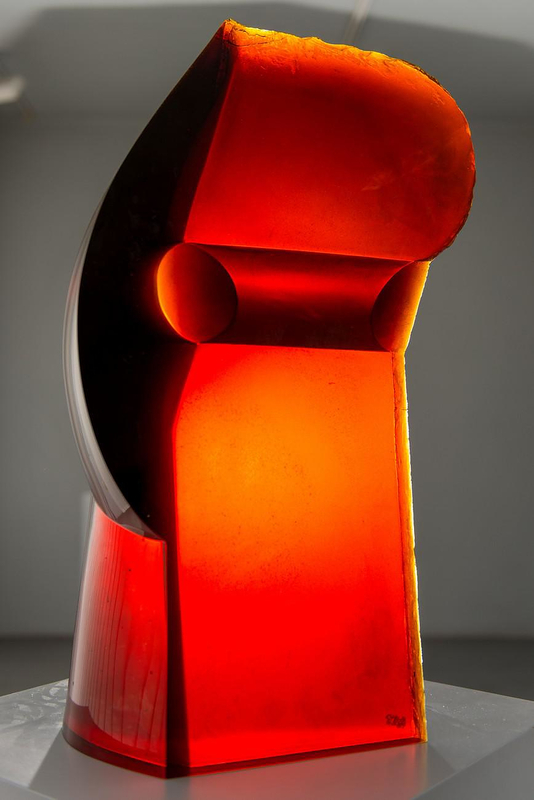 Stanislav Libensky and Jaroslava Brychtova pioneered, explored, developed, and defined glass as a medium for sculpture. 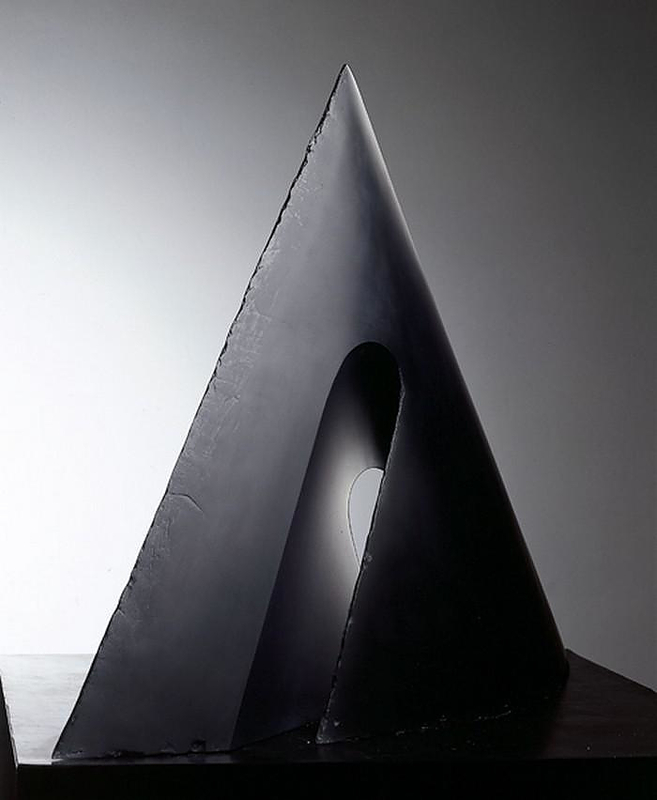 The two worked well together because he was trained as a painter and she as a sculptor. 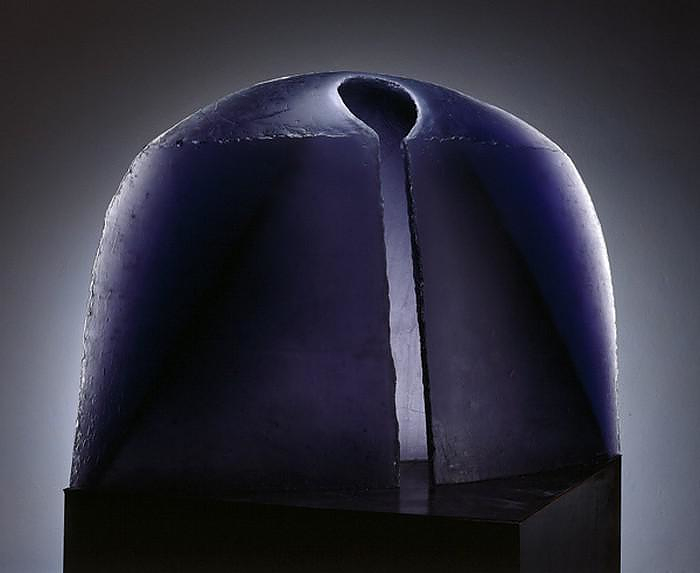 The illustrious career of this prolific husband and wife team spanned more than 45 years. 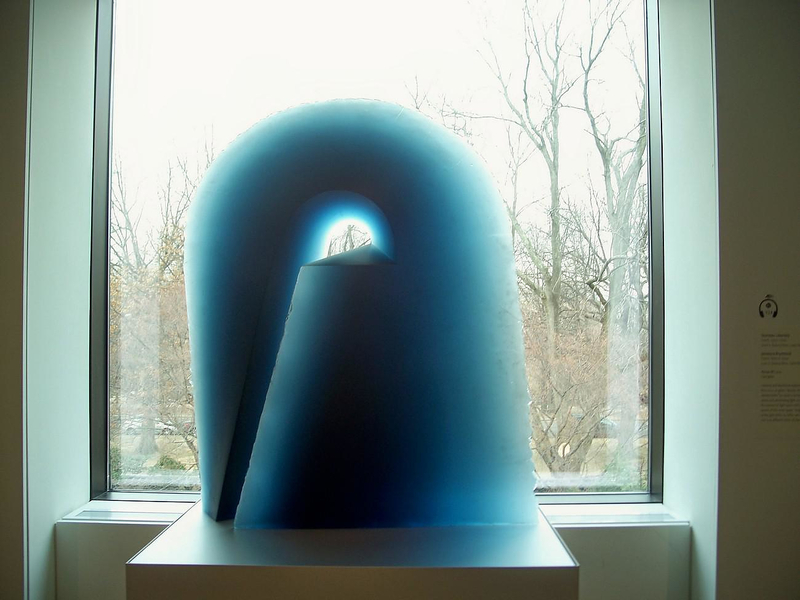 Their art explores ideas about space, transparency, and volume, and it communicates emotion and energy through color and light. 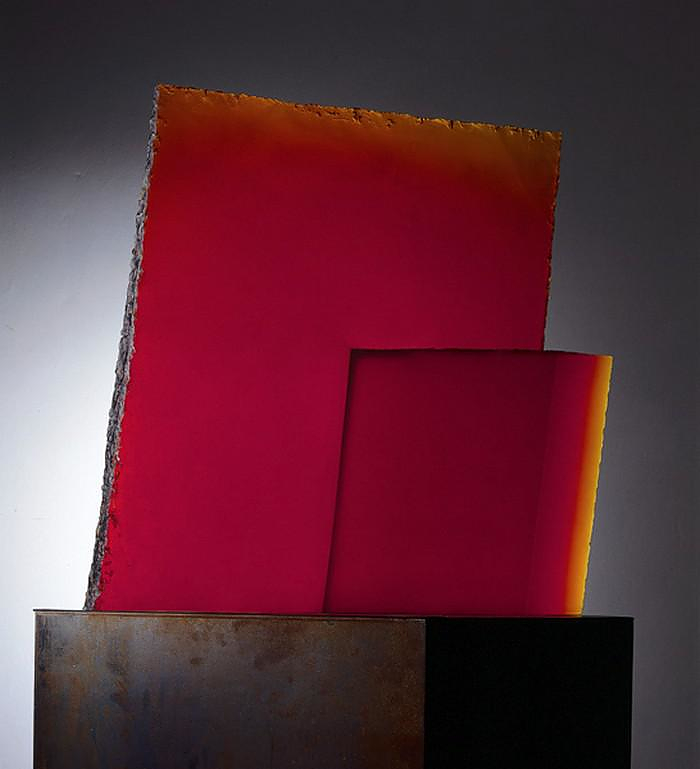 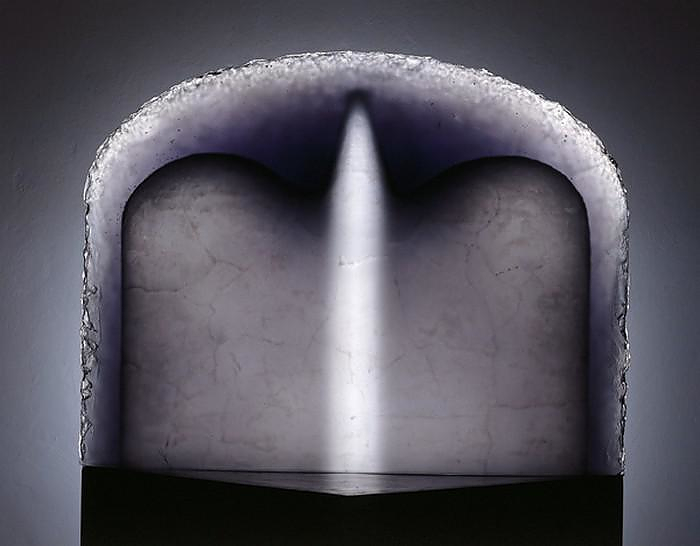 Stanislav Libensky and Jaroslava Brychtova’s sculptures were cast using a technique called mold melting, in which chunks of glass are allowed to soften and melt into molds inside a large kiln. 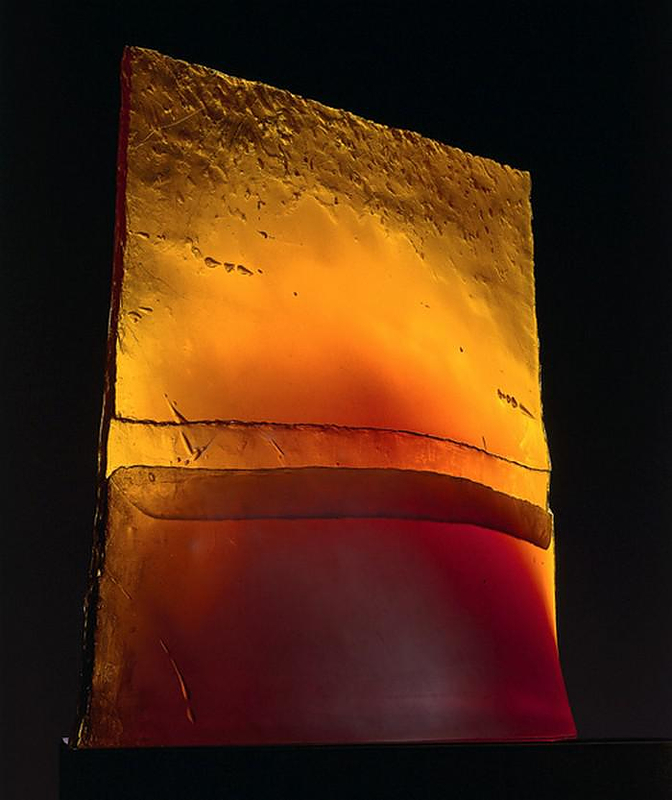 The work of Libensky and Brychtova underwent many stages of development but there was always a constant emphasis on the qualities and expressive possibilities of glass. 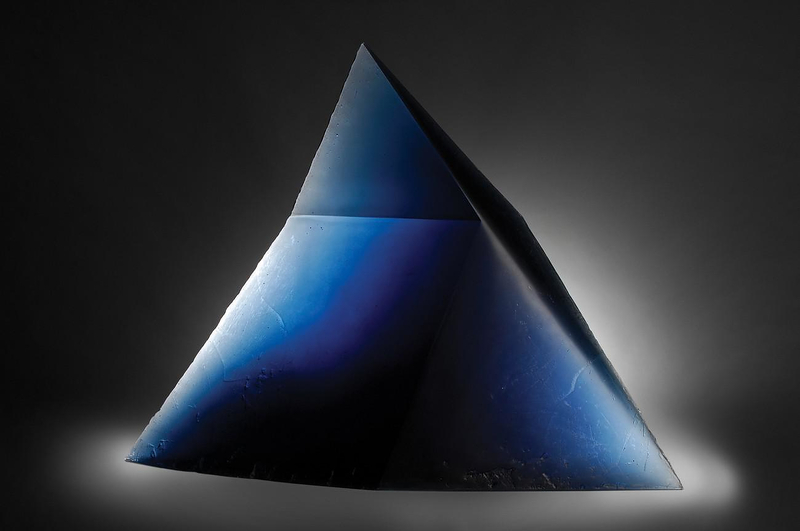 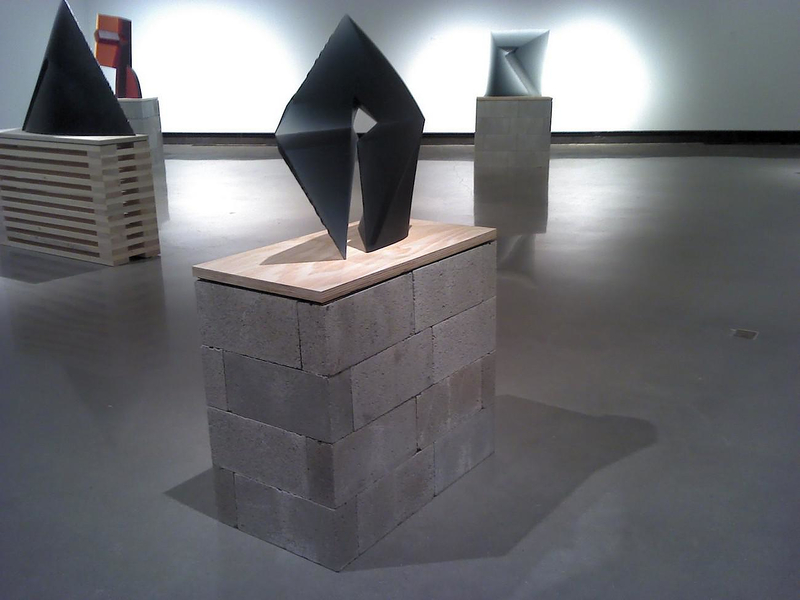 They created large and bold geometric sculptures made from such a fragile and elegant material. 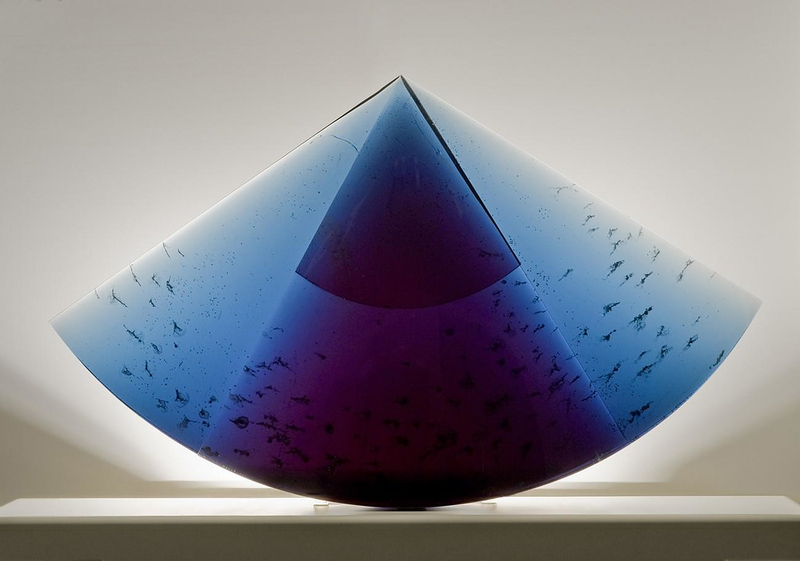 When the viewer stands before one of his works the stunning colors, the transparency and the reflective qualities create an extraordinary spectacle. 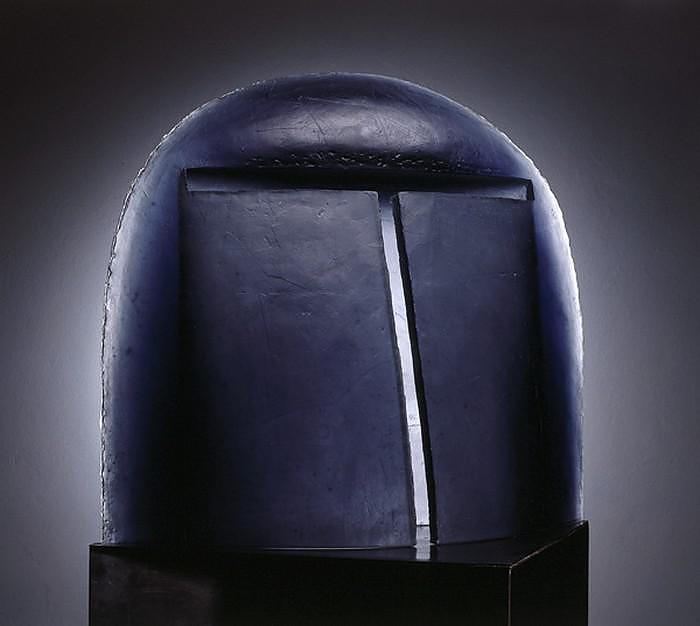 The monumental size of the sculptures along with their “totemic” shapes suggest an almost spiritual experience taken from prehistoric periods. 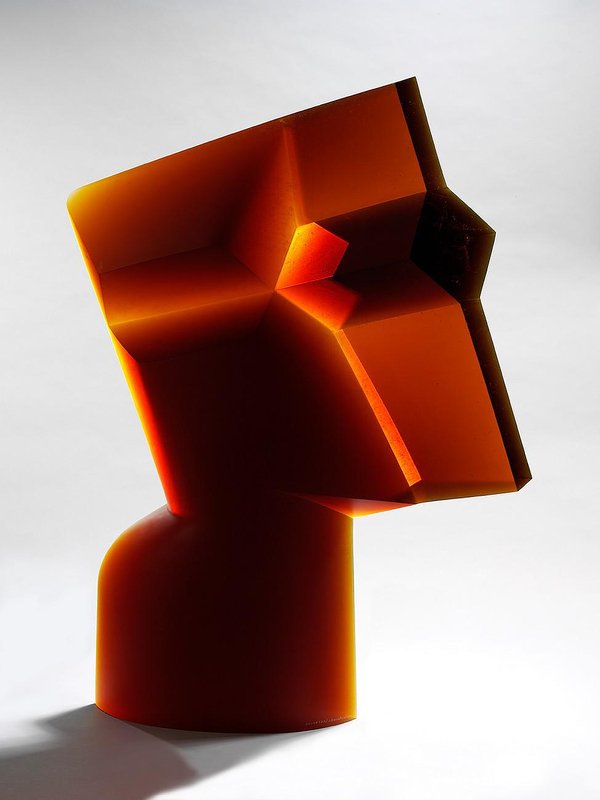 Stanislav Libensky was awarded honorary doctorates by the Royal College of Art in London in 1994, the School of Arts and Crafts in Prague in 2001, and together with Brychtova, by the University of Sunderland in 1999 and the Rhode Island School of Design in 2000. 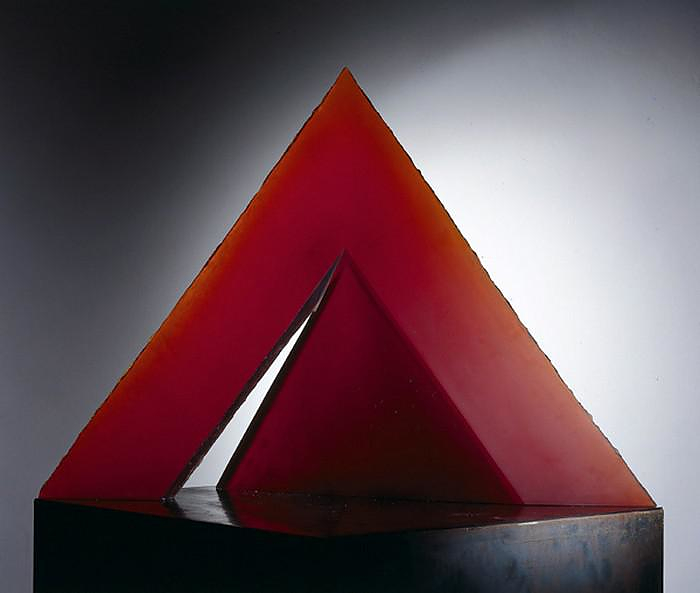 In 1985 he was named a Chevalier of the Ordre des Arts et Lettres by the Ministry of Culture and Communication in Paris, France. 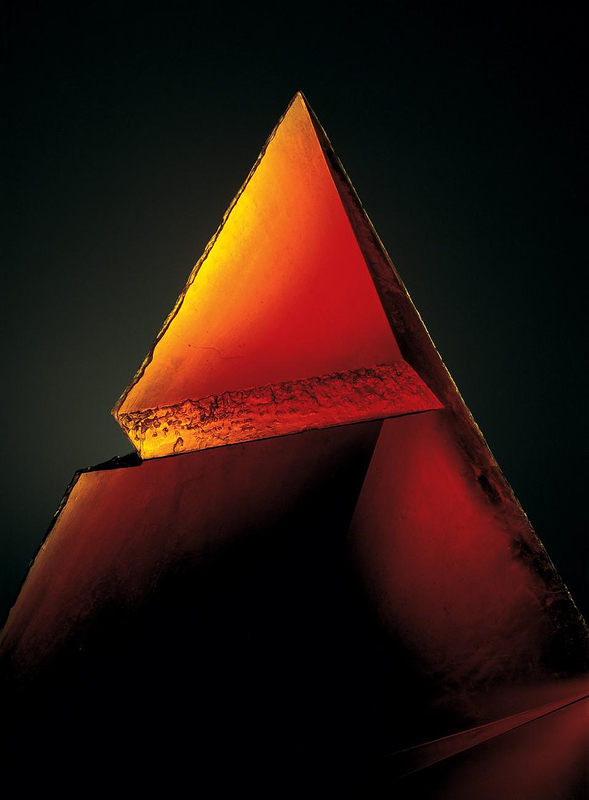 He won the Herder Prize from the University of Vienna, Austria in 1975. 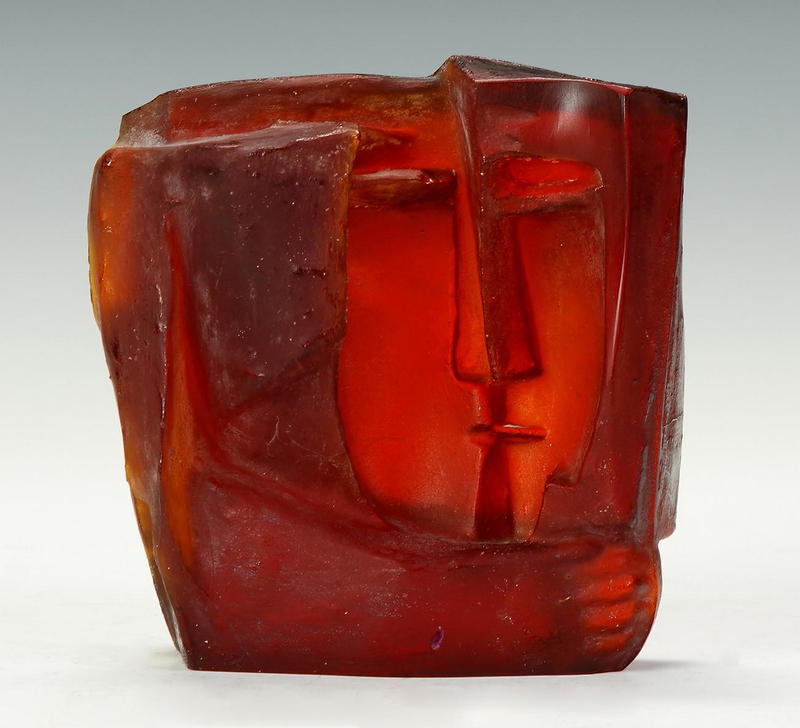 With his wife and collaborative partner, Jaroslava Brychtova, Libensky received a number of honors, which very few artists can match. 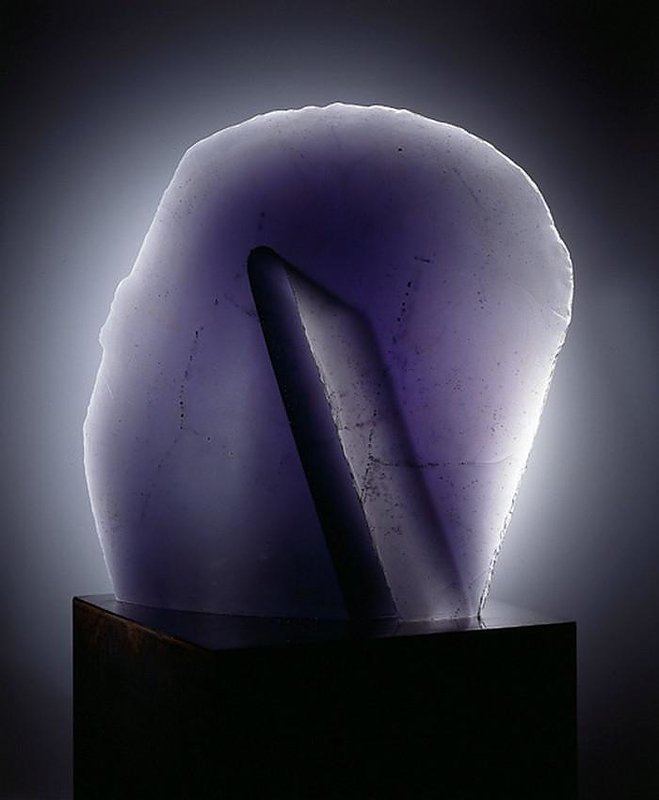 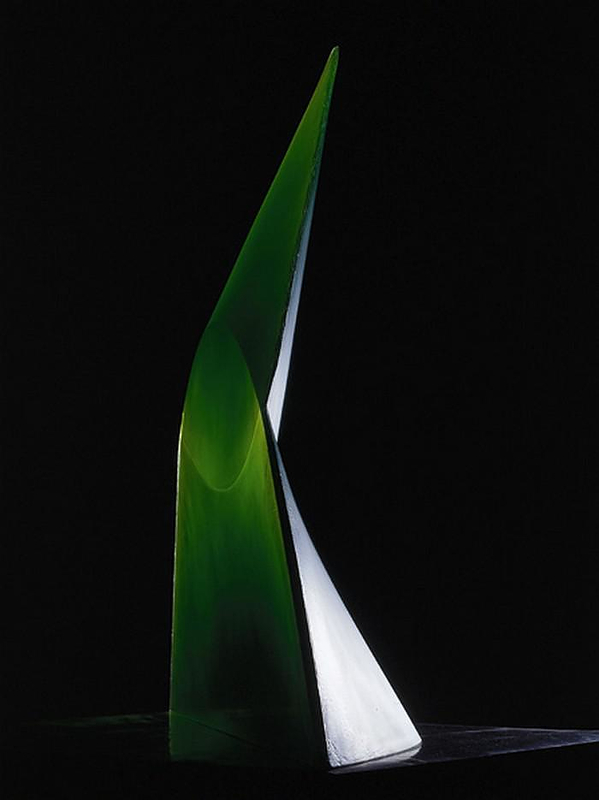 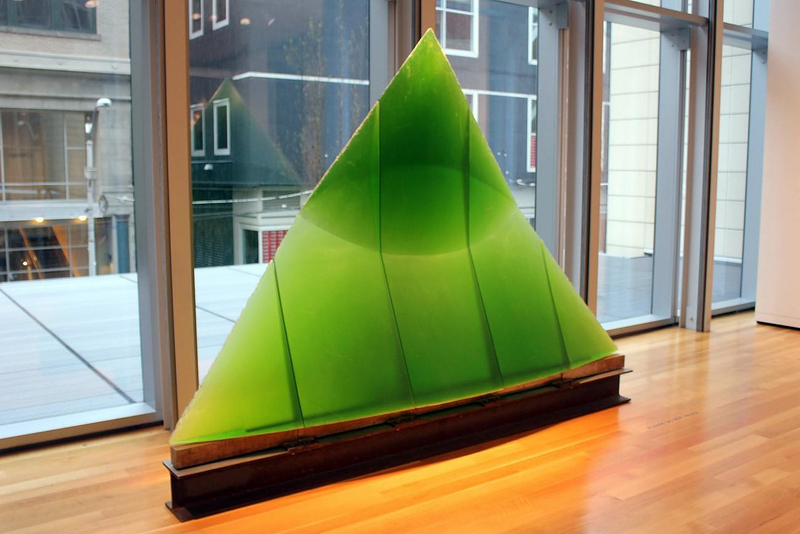 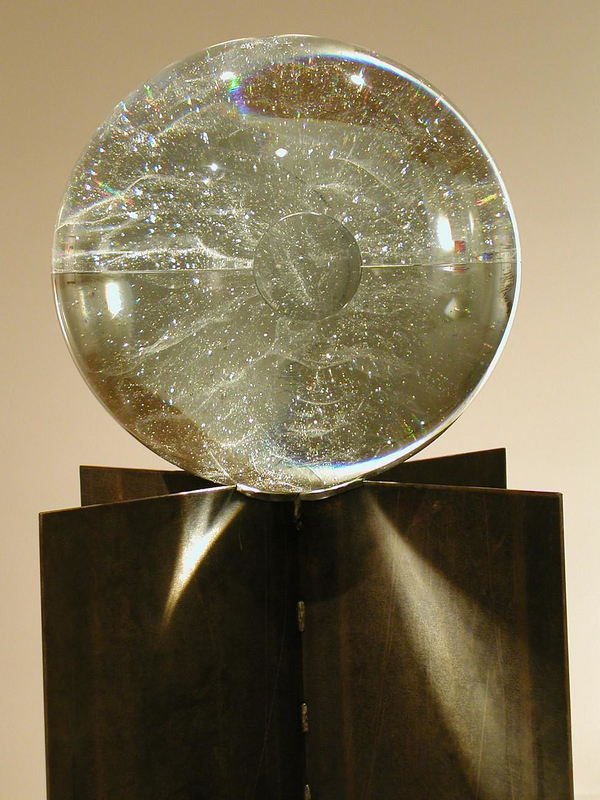 The pair was awarded with a Lifetime Achievement Award from Urbanglass in Brooklyn, New York and the Glass Art Society in 1997 and 1996, respectively. 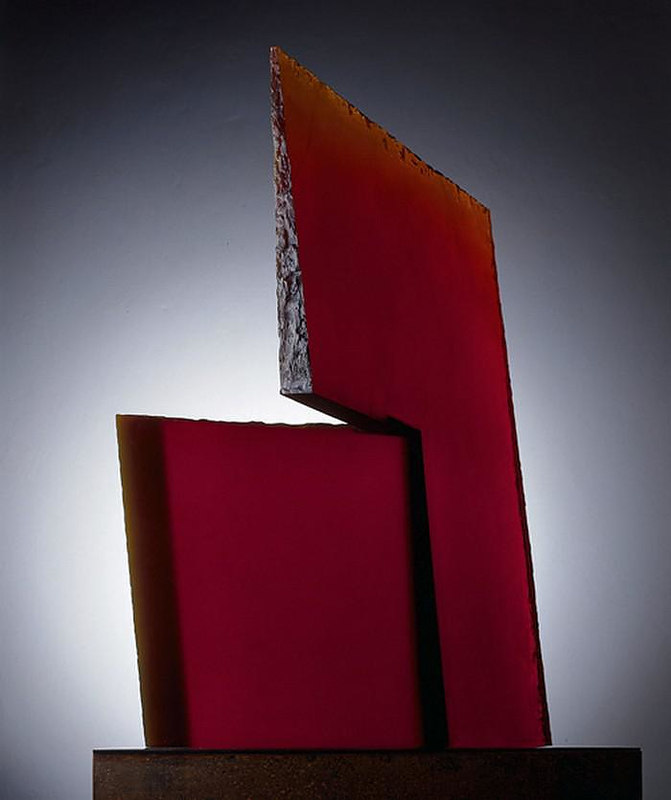 They won the Bavarian State Prize and Gold Medal at the Internationale Handwerksmesse in Munich, Germany in 1995 and 1967, and received Gold Medal awards from Internationales Kunsthandwerk in Stuttgart, Germany in 1969 and at the VIII Bienal de São Paulo in 1965. 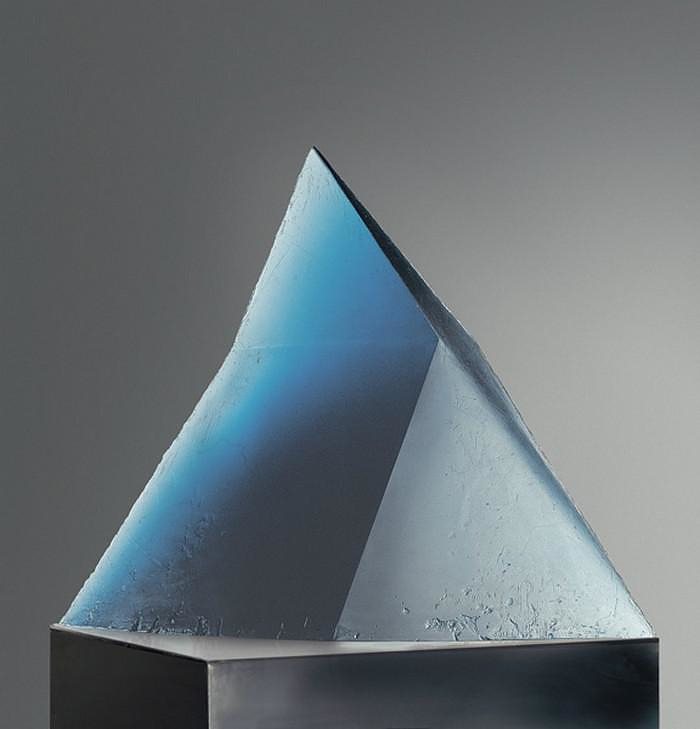 Libenský and Brychtová were presented with the Rakow Award for Excellence in Glass from the Corning Museum of Glass in 1984.